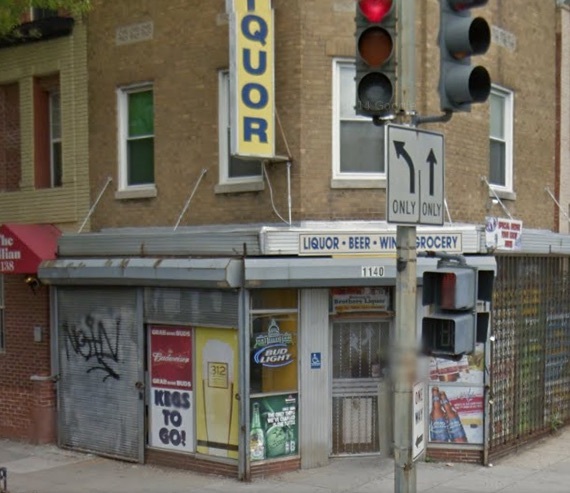 Brother’s Liquor (1140 Florida Ave NE, Washington, DC 20002) is reportedly closing by the end of this month to make way for a development project. Little details are available about the possible development project, but the owner of the building is Thornton Development. Thornton Development will be at the Trinidad Neighborhood Association’s March Community Meeting. Please join or renew your TNA membership for just $5/year. 1) Attend any SMD or ANC meetings called to discuss the project. ANC 5D must vote on this development and comment prior to the BZA case hearing and the ANC 5D06 SMD must meet prior to the ANC vote. 2) All interested persons in attendance will be given opportunity to express their views at the public hearing on April 28th. Hearings begin at 9:30 am. You can check the BZA schedule on their website to see how many and the order of cases being considered that day. 3) Written reviews may also be submitted for BZA consideration but must be received prior to conclusion of the case hearing. Written letters may be submitted via the Interactive Zoning Information System (IZIS) and documents may be accessed and submitted at http://app.dcoz.dc.gov. All written documents must reference BZA Case Number 18987. 4) Persons seeking party status (where interests are more significant or uniquely affected by the zoning action) should contact the Office of Zoning (dcoz@dc.gov or 202-727-6311) for additional information on submitting a party application. This would be particularly relevant to adjacent property owners.